Although the earliest evidence of chocolate dates back to South America in AD 460, it wasn’t until the 17th century that chocolate began to take its beverage form – being coupled with milk to make the earlier varieties of what we enjoy today as hot chocolate. (And oh boy, does everybody love a good hot chocolate!) Chocolate was considered such a luxury at one point, that the Aztec civilisation used it as currency for some time and the Romans labelled the cocoa tree Theobroma, which translates to “food of the gods”. A little ahead of the game, history records the first evidence of tea drinking in China in the 3rd century AD. Over the centuries (and millennia), tea has taken all sorts of forms, being blended with flavours of all kinds, harvested at different times and elevations to attain distinct characteristics, and even being infused into food. Somewhere along the 19th century, Earl Grey tea came into existence – a blend flavoured with the oil of the bergamot orange from Italy, and so called after the English Earl (and second Prime Minister of Britain) Charles Grey. Fast forward to the 21st century, and both beverages have come a long way. Today, in the kitchens of The t-Lounges in little Sri Lanka, these two beverages with their rich and age-old history, come together to make a concoction that even the strictest of taste-buds would find irresistible. Thick and indulgent hot chocolate made using locally sourced cocoa powder and hot milk marries a brew of Dilmah’s very own Earl Grey. 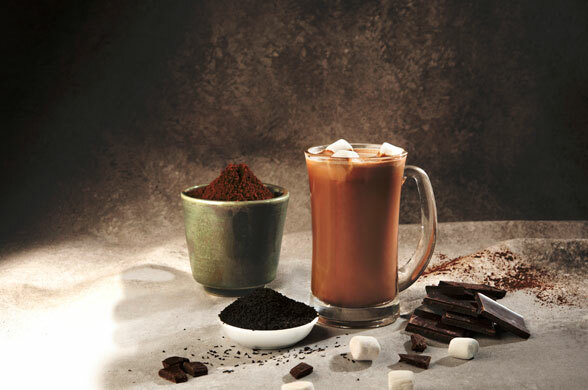 The subtle flavours of the brew give a mellow undertone to the rich chocolate at every sip, with the soft marshmallows that garnish the potion assuming a gooey texture with the warmth of the beverage. Sound good? Just wait till you taste it!